Our Screamer Slide is an 18' front entrance slide which makes it easy to monitor. The Screamer Slide may also be used as a wet slide as pictured above, see pricing and options below. Please visit our Wet and Wild page to view a picture of the 60' Screamer option. 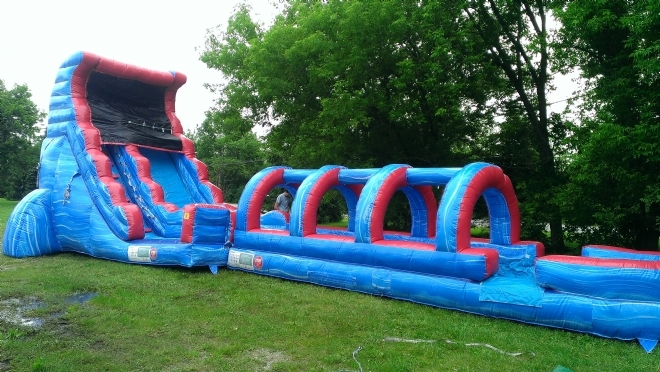 Cost of Giant Inflatable Slide Rental includes delivery and set up to Milford, South Lyon, New Hudson, Novi, Northville, Highland, Wixom, Walled Lake and Salem.